I was a bit chuffed with myself on this one – a card I made for one of my lovely team members Catherine who promoted in Stampin’ Up! last month. Congratulations Catherine. Yay!! My team is happy and fast growing so if you’d like to join in the fun or at least find out what the fuss is about, email me and I’ll send you some information in the post. Easy-peasy lemon squeeze. I used the beautiful stamp set Happy Watercolor again from Stampin’ Up! Australia’s Occasions Catalogue- and this time in blues and silvers. Lots of sponging on this too – softens up the card and gives it some depth. I personally love Stampin’ Up!’s Sponge Daubers but you could also use our Sponges for a bolder effect. Remember that Sale-A-Bration is now in it’s last month. 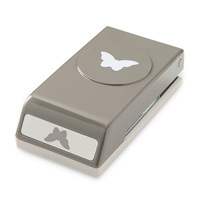 Don’t miss out on getting your free product from the Sale-A-Bration range when you purchase $90 worth of Stampin’ Up! goodies. Head to my online store or email me with your order. Lots of fun things happening this week – so make sure you stay tuned and also head on over and ‘like’ my Facebook page too – I love to chat over there and get to know you all. Posted in Cards, Congrats, Demonstrator Opportunity, My Team - The Midnight Inklings and tagged Adelaide Hills Card Making and Scrapbooking, Beginner Card making, Handmade Cards, Sale-A-Bration, South Australia Stampin' Up!, stampin up, Stampin' Up Catalogue, Stampin' Up Demonstrator, Stampin' Up! Occasions Catalogue, Water Colouring. Bookmark the permalink. Here is a little more from my adventures on the Grand Vacation to Utah – in particular one of the most amazing moments of the trip, a visit to Stampin’ Up!’s Home Office in Riverton. To any Stampin’ Up! Demonstrator the chance of going to Home Office and seeing where it all “happens” is just like all of your Christmas’ coming at once. I have to tell you, I wasn’t disappointed. When we arrived at Riverton Home Office the staff had all turned out to cheer and clap for us. It was amazing and very emotional. 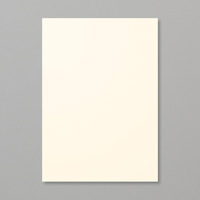 Surprisingly so actually….A few teary moments. This is what what the office looks like from the outside – wow right??!! And when we entered the building this is what we found!!! Yay!!! The welcome mat had very much been rolled out for us. Loads of love back at you Stampin’ Up! staff!!!! Then for the grand tour. A variety of rooms have been set up for displaying Stampin’ Up! products and just purdy uses for all things Stampin’ Up! LOVE ! Hehehe…. Can you read what the little fella is saying? This was in the Demonstrator Support department. Lots of humour everywhere. Hehe. Shelli’s office. Perfect – of course. Every single colour – yes please. Guess what? The brown box paper is now bubble wrap in the US. Stock up on that brown paper folks. Look at all those boxes of crafting goodness. The picking line…. orders received and picked by hand. It’s really very cleaver and well thought out process. Stampin Up! treated us all so brilliantly. I feel so lucky to have had this amazing opportunity. Another update soon on my visit to the Manufacturing facility by a guest blogger. 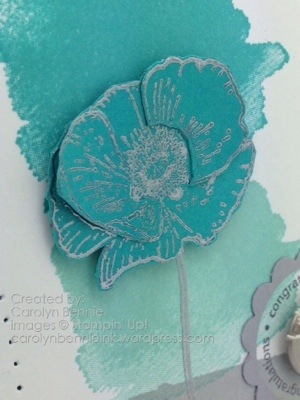 Posted in Carolyn Chitchat, Demonstrator Opportunity, Stampin' Up! Events and tagged Carolyn Bennie, South Australia Stampin' Up!, stampin up, Stampin' Up! Australia, Stampin' Up! Utah Riverton. Bookmark the permalink. I always say to my children – I love you more then coffee and chocolate! They know the magnitude of those words…. cause I sure LOVE coffee and chocolate! Starbucks became my FRIEND in the States. The only place that I found which made coffee that made me happy. I wasn’t the only one I must say… the line up before Convention every morning was out the door. Wonderful service though – actually the whole of the service industry in the USA was AMAZING. I really got used to it!! We were lucky enough to be able to visit a taping of the Mormon Tabernacle Choir on the Sunday morning before heading off to the Grand Vacation out of Salt Lake City. 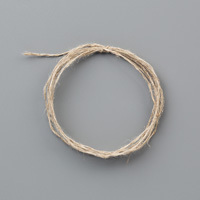 It was amazing… it’s a weekly recorded radio show that’s been running since the 1929. Unexpected too as there was a couple of young performers that were modern and breathtaking. Every year, Stampin’ Up! rewards the achievements of qualifying demonstrators with an amazing trip to an extraordinary locale where attendees participate in fun activities, relax in luxury, and-of course-stamp! Achievers also get to mingle with other successful demonstrators, build new friendships, and share business and stamping ideas. But what makes this trip truly special is that any demonstrator can qualify. The qualification period for the incentive trip extends throughout the Stampin’ Up! 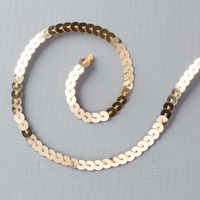 year (April through March), with the qualification points resetting each new year. Those demonstrators who meet qualifications will be invited to attend the incentive trip, which will take place during the year following the earning period. So a year or so ago it was announced that the Grand Vacation for 2013 was to Utah to the home of Stampin’ Up!. Stampin’ Up! was founded 25 years ago by Shelli Gardner and her sister and since then Salt Lake City Utah has become the place for Stampin’ Up!s Home Office and a number of hours away the manufacturing facility in a town called Kanab. For the Grand Vacation to be held in Utah was the Grand Vacation to end all Grand Vacations for most Stampin’ Up! Demonstrators as it’s sort of like our version of Disney Land. To be able to see when, where and how our products and the company we love is made and works was really something very special. More Demonstrators qualified for this incentive trip then ever before in Australia – 42 & each bringing along a guest! Joined by Demonstrators & guests from Germany, France, the UK and New Zealand. So 4 buses of International Demonstrators and their Guests began their 5 day Grand Vacation on the Sunday morning after SU! USA Convention was finished an traveled about an hour out of Salt Lake City up into the mountains to a resort called St Regis Deer Valley. This is the kind of luxury I could really get used to! Stampin’ Up! had the run of most of the hotel and we even had our own suite for us to catch up with other Demonstrators and see what was happening for the day. Lollies and chocolates everywhere and constantly being refilled. And then….. we got to go to our ROOM!!!! OMG!!!! Hello happiness! The summer view out of our window of the ski run… can you imagine what that would look like in winter??!! So I just had to share this ’cause its a bit cool… can you see the TV that’s inside the mirror?? Of course Stampin’ Up! had a little welcome gift for us in our room – some snacks to keep us energised. Cute stamping. Here is a shot of the welcome dinner on the very first evening. Magical. So much attention to detail – would Stampin’ Up! do it any other way? The little blue box was salted caramel chocolates – just a tip for my friends and family I LOVE THEM!!!!!!! So how to end a magical day and evening? 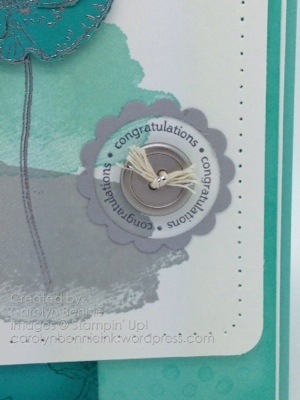 With a Stampin’ Up! pillow gift. Both the Grand Vacation recipient and guest got a lovely gifty on their pillow back at the hotel room…. More adventure deets to come soon. Could you handle this kind of reward for working at a business that you love? Contact me today to join the Stampin’ Up! family – I’ll send you an information package. This could be you on a Caribbean Cruise in 2014 or Hawaii 2015. Happy stamping and remember to live life in the sunshine. Posted in Carolyn Chitchat, Demonstrator Opportunity, Stampin' Up! Events and tagged card making easy, Carolyn Bennie, Handmade Cards, South Australia Stampin' Up!, stampin up, Stampin' Up Demonstrator, Stampin' Up! Australia, Stampin' Up! Grand Vacation Utah, Stamping Organisation. Bookmark the permalink. I wanted to start to share with you some of the best bits of the trip by way of the photos I’ve taken, however the most amazing thing of any journey is the people and adventures you have. I left Australia with Angela my stamping buddy and returned home with a life long friend – truly the best part of my trip was the hours of traveling, shopping, eating and SO much laughter I’ve had with this beautiful lady. We also met the most fun and hospitable folks in Utah including the staff Stampin’ Up!, made friends with Demonstrators from all over the world including Germany, France, the United Kingdom, Canada and New Zealand. Not to mention strengthening friendships with our fellow Aussie Demos – oh my goodness there are some wickedly funny ladies out there!! Here am I on the flight out of Adelaide on my way to meet Angela in Sydney …. did I tell you I’m not a very happy flyer – but I refuse to let it stop me enjoying life. Still… I do look a little nervous right?? This is the beautiful Salt Lake City. Did you know that Salt Lake is where the church of Jesus Christ of Latter Day Saints is based? These amazing buildings are the Mormon Temples visible from our hotel window. Just breath taking. Does it look hot? YEP!! It was very, VERY hot and going straight from cold wintery Adelaide to the middle of the desert in summer in the US was a bit of a shock to the system. I’m sure missing that weather now though. The whole town seemed to be happy to welcome Stampin’ Up! This is the outside of the SLC Convention Centre… as you walk in the many doors a the bottom of this dome it triggers wooden chimes to start on the inside. So this is a long line twisting around the hall ways of the Convention Centre…. folk making their way into the starting session. Did I mention there were 6000!! or so Stampin’ Up! Demonstrators attending this year? The USA’s biggest yet maybe the result of it being Stampin’ Up!’s 25th Anniversary year of being in business. This year was Australia’s biggest Convention too… we had 700 Demonstrators. Having now gone to both and LOVED both, I still think we’re very lucking in Australia as we have a lovely intimate Convention were we get the chance to catch up with friends and have a lot of time with the lovely US Stampin’ Up! staff. I won a crowd prize (we call it Prize Patrol) on the very first day!! Happy gifty for me. 🙂 🙂 YEAH!! Little did we know that EVERYONE would end up winning a Prize Patrol that attended – yep 6000 Prizes. The last 25 people to win, won EVERY STAMP SET out of the soon to be released Seasonal Catalogue!!! How lucky were they???? OMG!!! I like this photo of Angela and I…. just a few of the 6000 behind us. The decorations were AMAZING.. and the displays PHENOMENAL. I also got to ‘sort of’ meet my ABSOLUTE favourite US Stamper Kimberly Van Diepen walking across the road. I know… It’s kind of weird stalking these ladies who are just like us – Stampin’ Up! Demonstrators, however they are a real inspiration and work so hard they deserve a bit of Fandom. Have you had to get another coffee yet???? I know it’s a super long post but it’s fun I hope. The Awards evening was inspirational. Some of the US and Canadian Demos are unbelievable with their achievements. So worth attending. This photo is everyone heading to the ‘After Party’ once the awards were completed….. mind blown? So Stampin’ Up! know how to put on a party!!! Acrobats…..
and whats a party with out party favours? Free 6 rolls of Washi Tape for all!! So 3 days of US Convention finally, sadly came to an end. So many stamping goodies to bring home, business and creative learnings and memories to treasure. Here is a shot off all the sparkly confetti falling from the ceiling at the end of the closing session. Remember this little swap card I made? These are all of the swaps I got in return……. I’ll give you a close up in the next while of a few really special ones. I hope you enjoyed this blog post. Please leave a comment if you did as I love to hear from you. If you’d like to find out more about being a Stampin’ Up! Demonstrator as either a fun hobby or as a business opportunity click here , I’d be happy to send you an information pack. 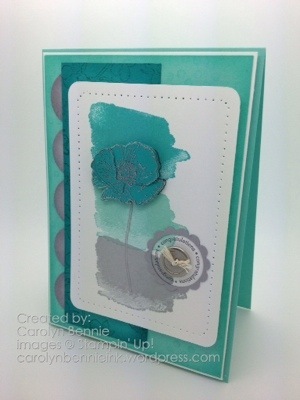 Posted in Cards, Carolyn Chitchat, Demonstrator Opportunity, Stampin' Up! Events and tagged Carolyn Bennie, South Australia Stampin' Up!, Stampin' Up Demonstrator, Stampin' Up! Convention Salt Lake City 2013, Stampin' Up! Party, Stamping Organisation. Bookmark the permalink.